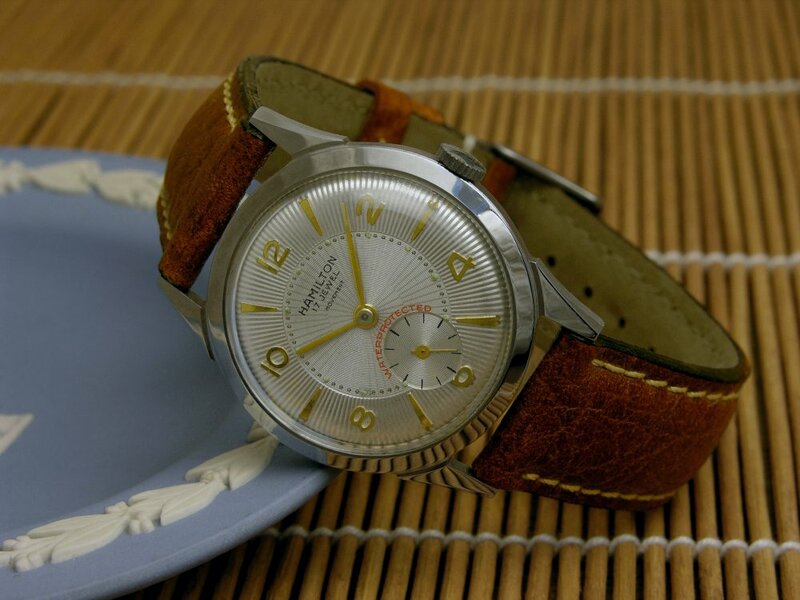 ...is this little rebuilt watch with a 1930s Hamilton Grade 987-F movement in a French-made stainless steel TK (Theodore Kagen Corp.) case with a very fancy embossed dial. 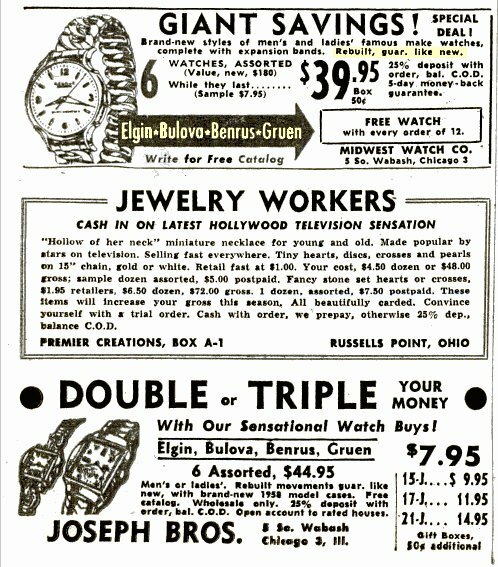 Here is an ad from Billboard Magazine for 23 June 1958 extolling to jewelers the profit to be made from stocking rebuilt watches. 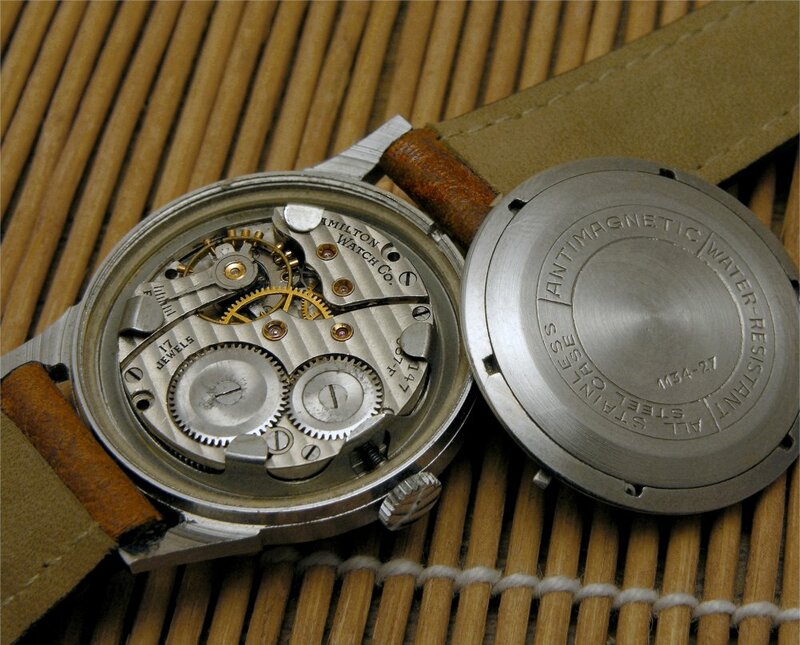 Below is an example of a watch case kit (also a TK brand) that was available for fitting a specific Bulova movement (cal. 5AD). Note in the closeup that the dial carries the "Rebuilt" text. Others would carry the "Movement" text, as on my example, alluding to the fact that these were not factory issued watches for whatever brand name they carried.